A piano is an acoustic musical instrument in which strings are struck by a hammer, and sound is produced. A piano, and instruments much like it (organs, harpsichords, etc. 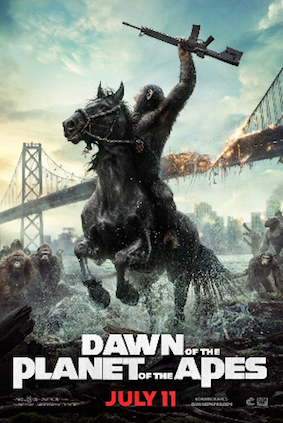 ), have appeared frequently in cult-TV history. 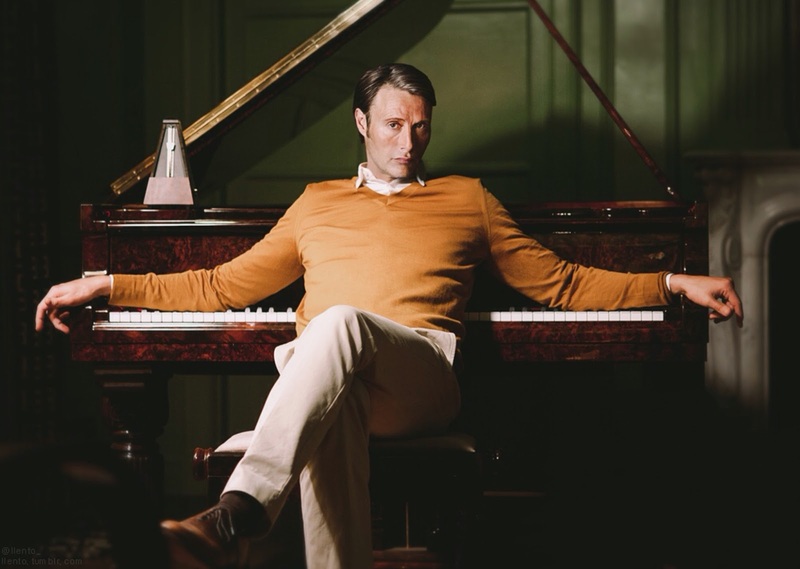 Often times, the presence of a piano in a scene suggests a degree of refinement among a TV character. A character who plays the piano is intellectual, composed, and talented. But he or she may also possess a dark side. 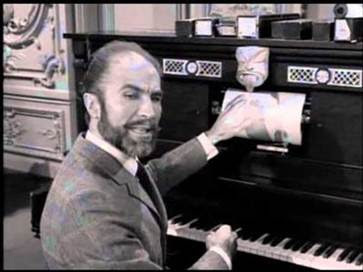 One of the most famous examples of a piano in sci-fi TV comes from Rod Serling’s The Twilight Zone (1959-1964). 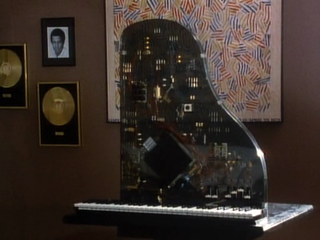 In the episode “A Piano in the House,” a music critic played by the late, great Barry Morse acquires a piano that, when played, reveals hidden facets of people. 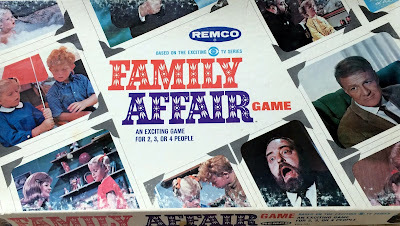 Morse’s character, Fitzgerald, uses the piano to abuse his wife, and eventually his guests at a party. Soon, however, the piano also exposes him as a bitter, envious, unloved man. 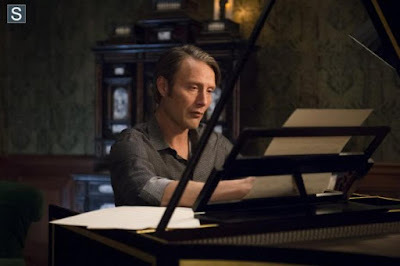 In Star Trek (1966-1969), Mr. Spock (Leonard Nimoy) played a piano-like instrument (actually a harpsichord) in the third season story, “Requiem for Methuselah.” There, the half-Vulcan found the instrument, and an original composition by Johannes Brahms in the home of an enigmatic stranger, Flint. In 1985, the low-budget horror anthology Tales from the Darkside (1983-1988) featured a tale called “The Satanic Piano” about a haunted instrument that could read minds…and steal souls. In 1995, an episode of Goosebumps (1995-1998) called “Piano Lessons Can Be Murder” featured an old piano, a ghost, and a dark secret. Another piano playing character in cult-TV history is Hannibal Lecter (Mads Mikkelsen), who has a taste for…classical music (as well as human flesh) in the NBC series named after him. One of the best episodes of The Walking Dead (2010 - ) is “Alone,” which airs in the fourth season, and finds Daryl (Norman Reedus) and Beth (Emily Kinney) taking shelter in a funeral home. Beth plays the piano for Daryl, and a bond is forged between them as she plays. 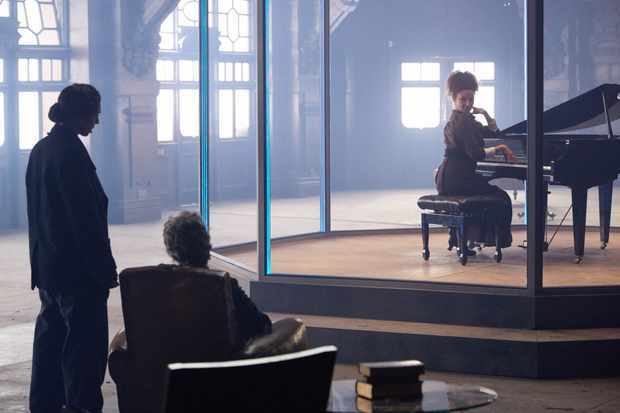 A recent episode of Doctor Who (2005 - ), called “Lie of the Land” revealed that the Master -- Missy -- plays the piano.